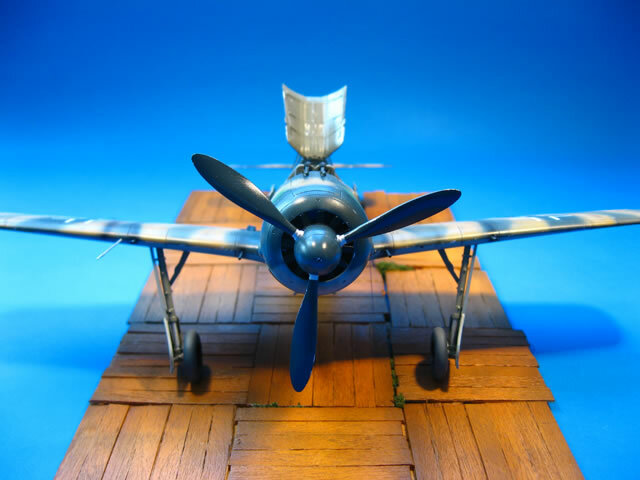 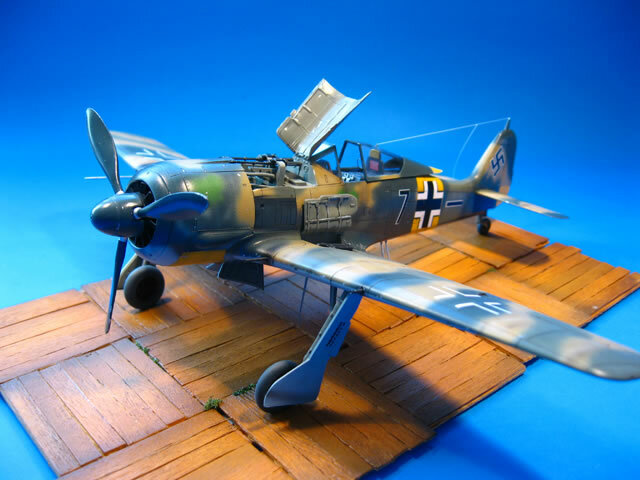 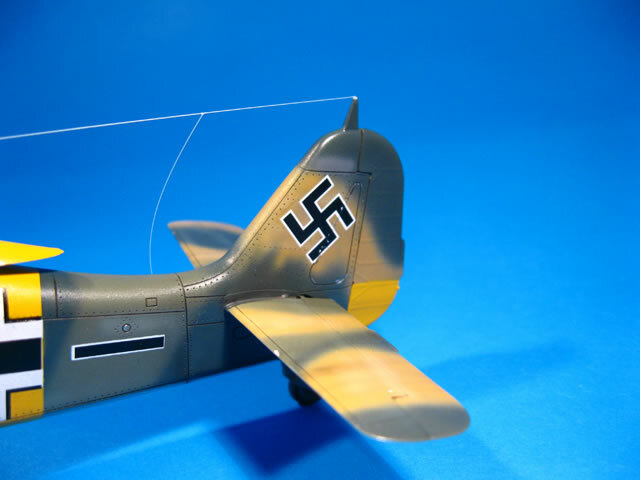 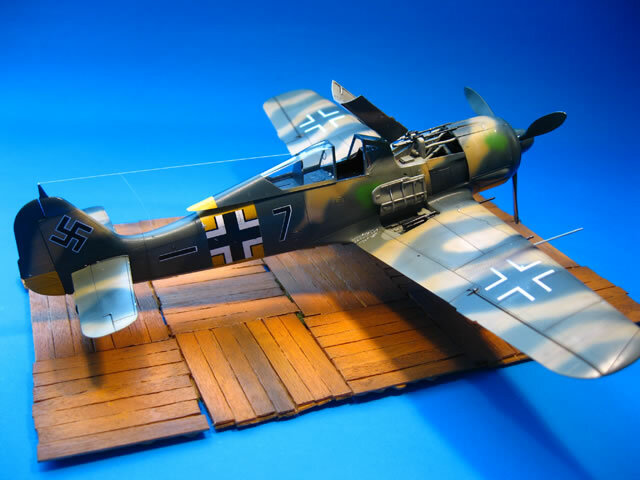 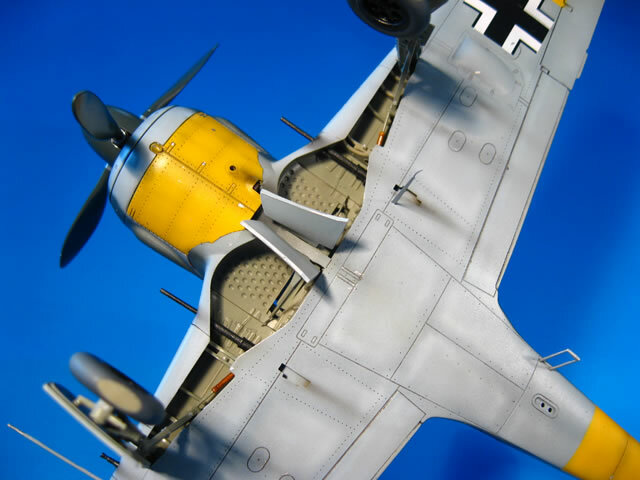 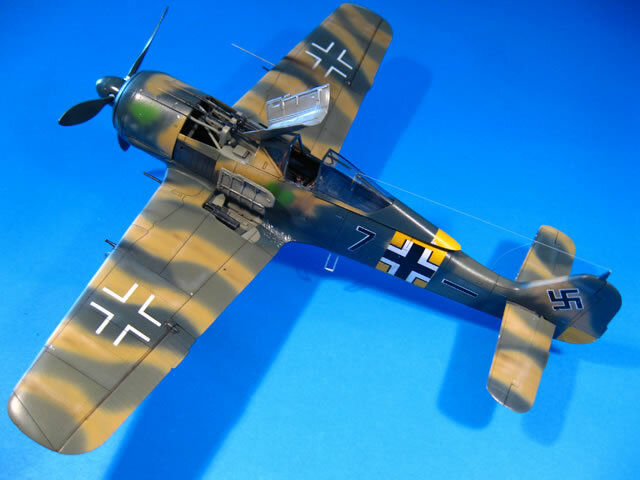 Eduard's 1/48 scale Fw 190 A-5 Weekend Edition is available from Squadron for only $20.66! 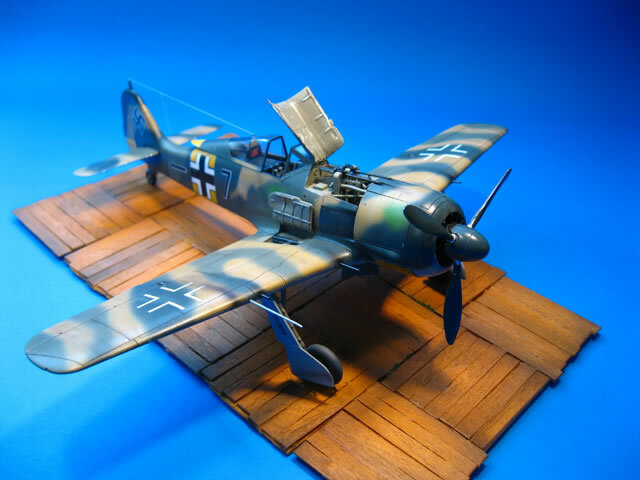 Here is my Eduard 1/48 scale Fw 190 A-5 Weekend Edition. 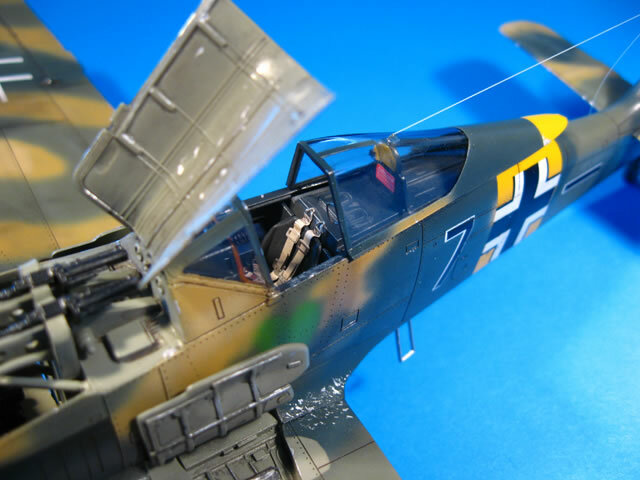 I used Eduard' s photo-etched set for detailing cockpit and fuselage. 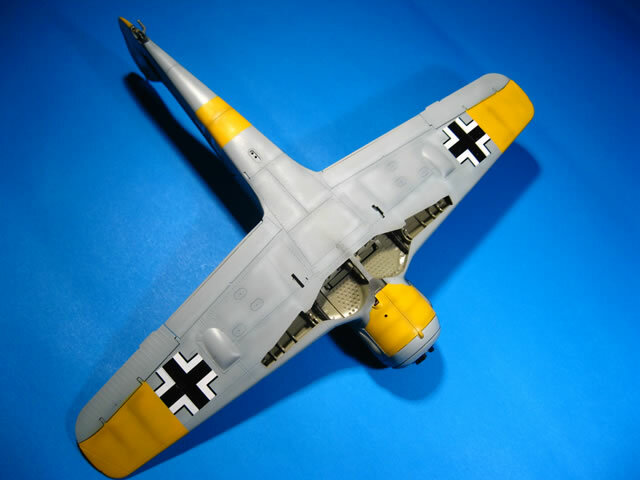 The entire model was painted with Testor's Model Master enamels except for the yellow theater markings. 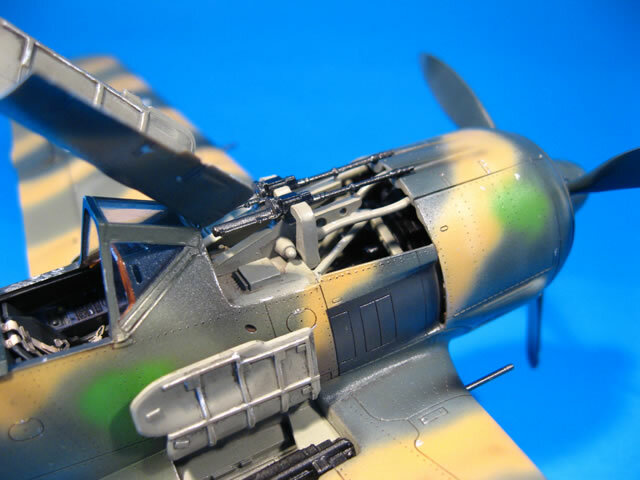 The upper surfaces received a two tone green (RLM 70-71) prior to the application of tan coloured stripes, which seemed like RLM 79 to my eye - and the under surfaces was painted with RLM 76 as usual. 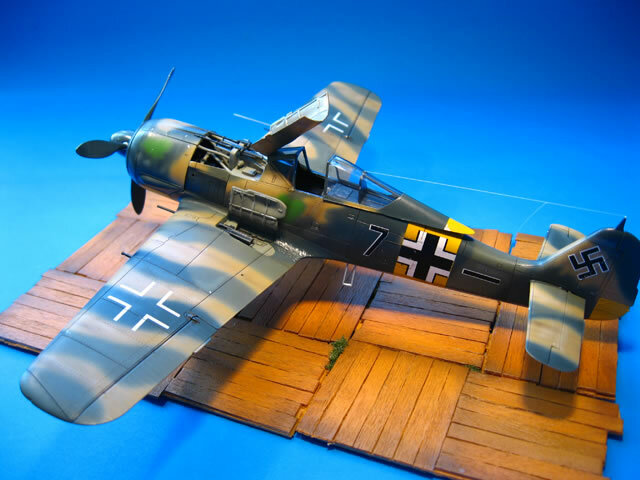 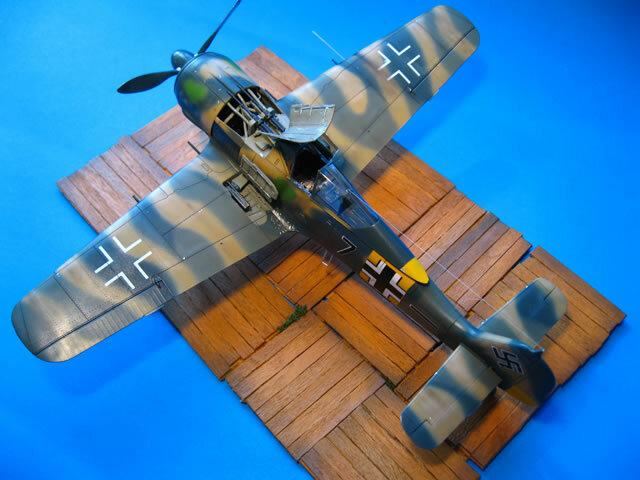 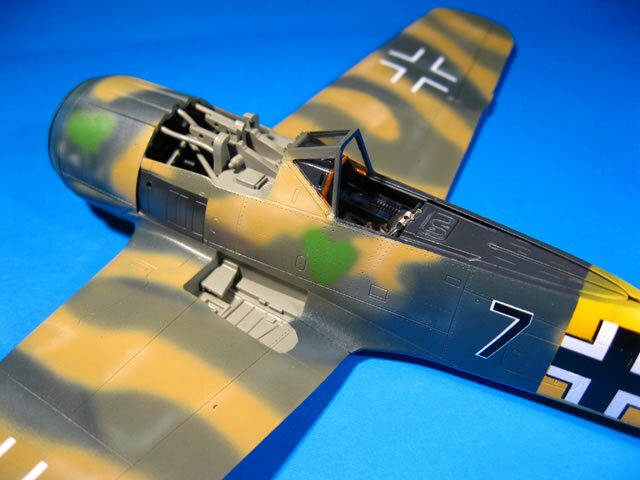 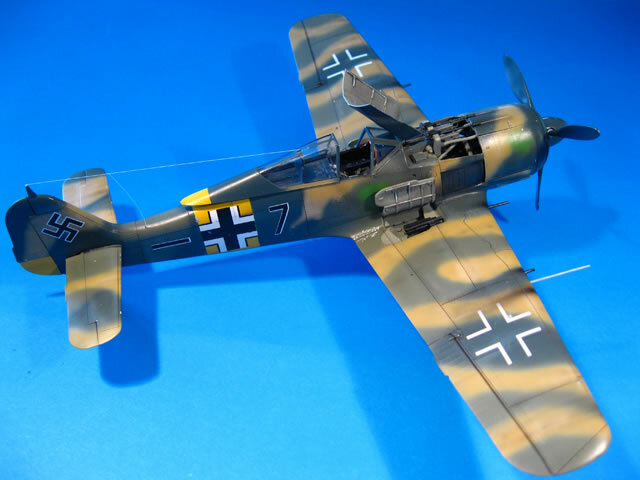 Like its sister kit, the Fw 190 A-8 Weekend Edition, building this one was a great fun for me.